Here's a fun game next time you're at a boring social occasion: try explaining the point of Animal Crossing to an elderly family member. Nintendo's genre-defying life series first appeared in Japan in April 2001 as Dobutsu no Mori ("Animal Forest") on Nintendo 64, but it was the enhanced Animal Forest+ for GameCube — released in Japan on 14th December 2001 — that made it to the West as Animal Crossing. Dubbed a "communication game" by Nintendo, Animal Crossing doesn't belong to any particular genre but has still achieved considerable success: the series has sold over 18 million copies around the world. The game's real-time nature is its biggest calling card: while the N64 original used the cartridge's battery to power a clock, other releases use their respective systems' built-in clocks to mimic the flow of time in the real world. Play at 6pm on 14th December and it's 6pm on 14th December in-game, with seasons changing and different events taking place throughout the year; there's always something happening whether you're there or not, as Nintendo puts it. When you do visit the game's world, you're free to pursue your own pace of life — all objectives are optional and have no time limit or other pressures. You can catch fish and bugs, dig up fossils and buy paintings; whether you sell, display or donate them is up to you. You can hoard Bells — the game's currency — or fritter them away in Tom Nook's stores, put them towards town improvements or eschew the shallow pursuit of money altogether. Unlike The Sims there are no bills, no gauges to fill and no career paths: you play when you like, for however long you like, and do what you like, more or less. 10 years on, we investigate the appeal of this most idiosyncratic of Nintendo franchises. Shigeru Miyamoto's ideas may come from his hobbies or childhood memories, but Animal Crossing creator Katsuya Eguchi's inspiration was something less enjoyable. Eguchi joined Nintendo in 1986 and has a formidable record at the company right from the start: he was designer on Super Mario Bros. 3 and Super Mario World before taking the director's chair for Star Fox. 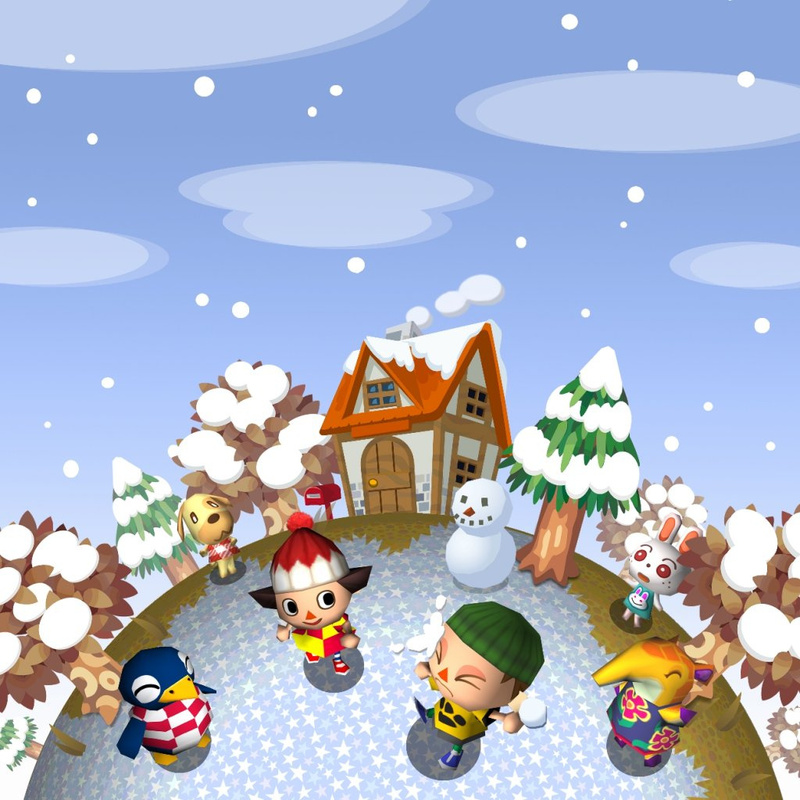 Animal Crossing features three themes: family, friendship and community. But the reason I wanted to investigate them was a result of being so lonely when I arrived in Kyoto! Chiba is east of Tokyo and quite a distance from Kyoto, and when I moved there I left my family and friends behind. In doing so, I realised that being close to them – being able to spend time with them, talk to them, play with them – was such a great, important thing. I wondered for a long time if there would be a way to recreate that feeling, and that was the impetus behind the original Animal Crossing. With this in mind, it's easy to see the game as a parallel situation: you play a character striking out on his or her own, moving into an unfamiliar town full of strangers. You might get the odd letter from your parents on birthdays and special occasions, but otherwise you're left to fend for yourself. Yet Animal Crossing isn't a single-player game: since the start you've been able to accommodate up to four players in one town, each with his or her own house, money and favourite way of playing the game. It may have been conceived to provide a surrogate family, but it's also an interesting way to check in on what your real family has been up to: with an in-game message board and letters system, Animal Crossing could be the centre of the living room long before the Wii project came around. Another thing is that I'd always get home really late. And my family plays games, and would sometimes be playing when I got home. And I thought to myself – they're playing games, and I'm playing games, but we're not really doing it together. It'd be nice to have a play experience where even though we're not playing at the same time, we're still sharing things together. So this was something that the kids could play after school, and I could play when I got home at night, and I could kind of be part of what they were doing while I wasn't around. And at the same time they get to see things I've been doing. It was kind of a desire to create a space where my family and I could interact more, even if we weren't playing together. 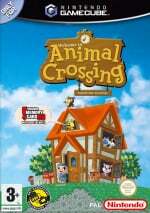 The original Nintendo 64 and GameCube Animal Crossing titles were bound by both systems' relative lack of communication features: you could visit another town by taking your memory card around to their house, but gameplay was entirely asynchronous. 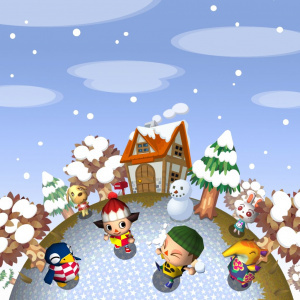 Animal Crossing: Wild World on DS introduced simultaneous multiplayer to the series, letting players meet and communicate with each other in real time via Nintendo WiFi Connection. No doubt this was something Eguchi wishes were possible when he first created the series. Animal Crossing: City Folk (Animal Crossing: Let's Go to the City in Europe and Australia) added integration with the Wii Message Board and the ability to send letters to other towns from your own, but arguably its biggest contribution to the online service was the Wii Speak microphone: whereas other online games use isolating headsets, Nintendo's room microphone was more inclusive, encouraging families to gather and talk together — a technical encapsulation of Eguchi's original vision. Next year's Animal Crossing on 3DS features another aspect of Eguchi's original move to Kyoto; taking on a new job. Players can become the mayor of their town, becoming responsible for its development; taking pride in your town has always been an AC staple, but it remains to be seen if and how formalising it into the (admittedly optional) mayor role will change the game. Animal Crossing was created to foster a sense of community, and while it's arguably still waiting to fulfil its potential in online communication, players around the world have spent millions of hours chatting with animals, going fishing and trying to turn their corner of the world into the perfect town. The young Katsuya Eguchi, alone in Kyoto in 1986 and missing his family, must be very proud. so hyped for the 3ds game. instant buy when it comes out. I love Animal Crossing. Granted I've only played Wild World - but it was amazing. It is hard to explain what kind of game Animal Crossing is - but for any game to which this applies, it just shows innovation. You design your own house interior with furniture, you go fishing, bug catching, shirt collecting, and it's some of the most fun I've had on my DS. Also a great thing about Animal Crossing games is that they keep you playing. I have never played Animal Crossing. I just think it's not a game for me. I owned Animal Crossing on GCN and I never really got on with it. I tried playing for just 20 minutes a day, and I tried spending hours at a time with it to see if it would click... but it didn't. Its innovation and desire to bring millions of gamers together into a real community should certainly be commended, but for me there's something that I can never put my finger on that stops it from gelling with me. I really can't wait for the next installment! My son and I love visiting each other's towns. This time there will be a better way to visit people this time than seeking out codes on various forums, as long as you have a friends system code, perhaps you can join mid game like MK7. Can't wait for the new one. More customization, more fun! And for those who never really understood the game : That's okay. Not only was it not for everyone - but it entertains a rather specific audience. The audience is much broader than Harvest Moon, but far more specific to a group that others don't really consider their own group (similar to how turn based RPGs and tactical RPGs entertain completely different audiences, yet no one notices it). ... Personally, I enjoy it for its sense of simplicity. The lack of goals is where it's entertainment is - the lack of need to rush forward and the lack of conflict also give it that certain charm that most genres can't perfect. ...it's similar to playing "house" as opposed to "tag". While many would say The Sims is closer to "house", I'd say that Animal Crossing was far closer. The Sims is closer to "roleplay" - where there are goals sought when playing as a character - but Animal Crossing is far more casual than that... no goals, just "hanging out". It's a game series that my fiancee absolutely fell in love with and one that kept me company during those lonely days of summer when friends started moving apart. I have a lot of appreciation for the series, and am definitely looking forward to the 3DS version. I enjoyed the Game Cube title, but not the DS and Wii titles. I hope the 3DS title will carry me back to the series. loved the ds one,the wii one was good but prefer it on handheld.cant wait for 3ds one used to trade games away but keeping most 3ds ones.so will be able to play AC3DS all year round. My first Animal Crossing game was City Folk. It was fun for a while, but I eventually got bored of it. Of course, part of the reason it was fun was that two of my friends happened to have it. I'm so pumped for the 3DS version. 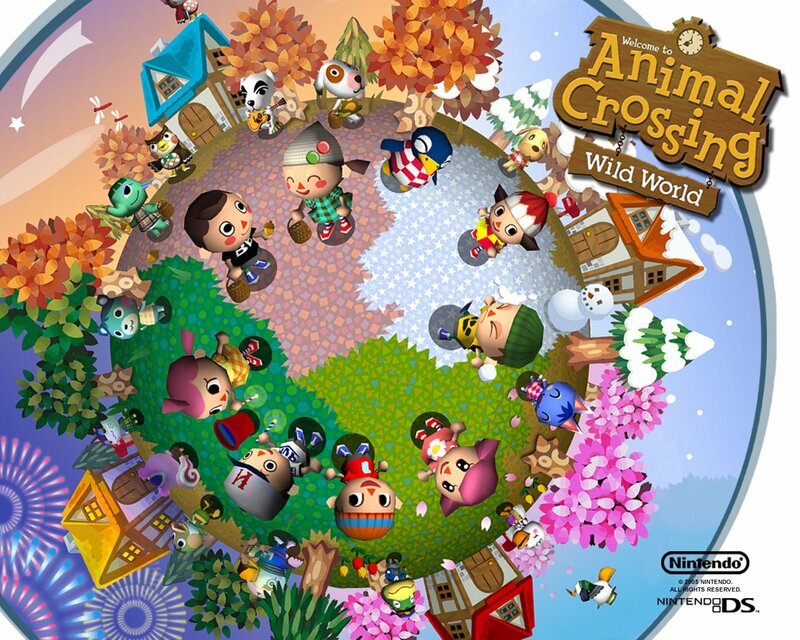 I loved Wild World, but City Folk was pretty much just a port of the DS version with a couple added things, and AC isn't a game that's very much capable of being a port to me. If the 3DS version doesn't do much new stuff aside from swimming and being able to change your pants and shoes, I'm not buying it, unless I happen to find it for a very cheap price at some point. This was really nice to read. 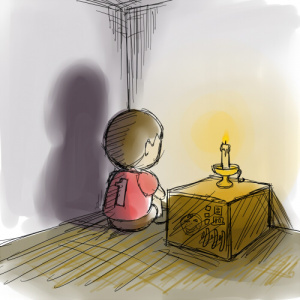 My husband and I actually met because of this game, so I'm very grateful to Eguchi-san for conceiving Animal Crossing... though it may have been borne from hardships in his life, it truly blessed the lives of others. So for that I thank him, and all the developers involved in the series. Make the new AC as good as the original NGC one and I´ll be back into this series. I seriously cannot wait for the newest installment. I've owned all the other games of this series and spent a lot of time on them. They've definitely had a big impact on my life. In fact, I met one of my best friends on AC:WW online. We still communicate (though not through acww of course)... these games are just a great expericence overall. 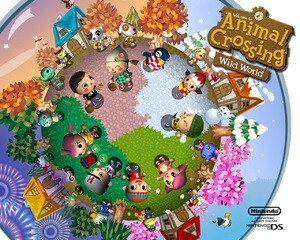 I loved Wild world and Animal crossing 3DS is the upcoming 3DS game that I'm most anticipating. What would be cool: in the 3DS game, if it can tell which Gameboy VC titles you'd downloaded and would allow you to play them in the game somehow. Not sure why you'd want to. But it'd be neat to have your little dude walking around with the grey brick in hand. If I were to go on a rant on how much I love this game I would probably pass out. So all I'm going to say is thanks NL! By far your best feature, ever. Animal Crossing is one of my favorite video game series. Wild World was always my favorite of the trio, and I can't wait for the new 3DS one. Wow, can´t believe it has been ten years since i first met Tom Nook & Co. In the days before the VC, this was a great way to play classic games you'd win. Unfortunately I transferred my pack-in games from the controller pak to a 3rd-party memory card that got corrupted. Lesson learned! I love Wild World too. I think it kept me sane through 18 months of major home renovation (in the real world). We washed dishes in the bathroom sink upstairs for 6 weeks, camped in the living room, and got back problems deconstructing and re-building wardrobes, but my Wild World home continued to upgrade neatly as I paid off my mortgages and I could move the furniture around by squashing it into my pocket. How, I wished I could do that in real life! I can't wait for the 3DS version. I've seen a lot of the GC version in YouTube clips and it looks great. I'm hoping the new version has that sort of variety. I'm ready for something new. Everyone else — Animal Crossing is awesome. The end. I owned the first game, was happy to go look for NES titles. Without those in the games now, there is no reason to play this series. @James Awsome! Wow, ive had that game for a long time and never realized that, thanks! i do have the golden shovel(someone gave it to me) but i didnt know it made bell trees. that makes me want to play City Folk or Wild World right now. The first one seemed so innovative and new. Sandbox games like that hadn't really ever been done before Animal Crossing. In 2000 I was so interested in the buzz behind Animal Forest when it was first announced for N64. I had to get it. So I got the Japanese N64 version. I couldn't understand a word, but I was addicted to it. The Gamecube version was great, and the DS version wasn't bad either. I wouldn't recommend them over the Wii Speak-, USB keyboard- and online-features of the Wii version. The Gamecube version is great if you want 19 NES games. Some rarer games like Clu Clu Land D and Golf are on there, but also classics like Mario, Zelda, Punch-Out, Balloon Fight, Pinball, Wario's Woods, Excitebike, Donkey Kong, etc. I played them each for quite some time, the first one for a full year and a bit. Catching new insects and fish in each installment was always my favourite part. I met a nice girl as well, and we're still in touch. But other than that there's not much new in the Wii version compared to the DS version! Next time I want to see more innovation and more items, and more everything. 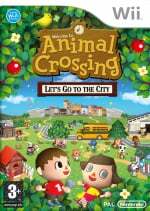 So only a 9/10 for Animal Crossing: Let's Go To The City from me. I actually think an older person might understand and enjoy the concept of Animal Crossing quite well. My Mother In Law would probably enjoy an AC game. Personally, I think that Animal Crossing is the best game series of all time. Wait, the population is "glowing"? "Here's a fun game next time you're at a boring social occasion: try explaining the point of Animal Crossing to an elderly family member." I loved Wild World. Absolutely loved it. It felt like a world away from my own, a wonderful escape where I could do as I please and visit others. But I lost some of this love with City Folk. I enjoyed it, sure, but it didn't feel like as much of an escape. Something about it felt different. So I hope that the new 3DS AC returns my love to the series. I always wanted to be able to communicate with an entire AC community via Wi-Fi in Wild World, but I was relegated to playing with my one friend who had it. If this new game can capture the magic of WW while introducing new things and robust online options, I will never stop playing it. Animal Crossing is my most played game of all time. I loved playing on the Wii with WiiSpeak. I live far from my birthplace, and hardly ever get to see my family and friends back home. Playing AC brought 'friends' into my home for the first time since moving away. When we'd play online it was like having friends round the visiting me .. not just playing the game. I just can't wait for it to come out on the 3DS. I imported the Australian version of Animal Crossing to the UK when Nintendo were flatly refusing to release it (does this ring a bell with the US folks about Xenoblade?). I think I played that game every day for about two years. It was wonderful and I enjoyed every single moment. I can't remember why I stopped playing. I enjoyed the DS version but it got nowhere near as much play time, and I think that was because Wi-Fi communications were really emphasized and, well, I don't have any friends that play videogames and I'm not letting some stranger into my town! That was what made the Gamecube version so special. It was my town, no one else had to touch. I have the Wii version but it sits unplayed because, again, I have no friends to play it online with. I'm looking forward to the 3DS version though. The Streetpass and Spotpass features could help make this enjoyable for someone like me who doesn't have gaming friends. Played all of them. I still like the original on the GC but Wild World did take it to the next level. I should reserve it now before I forget. It is from my view, but I think animal crossing would be better if there were more freedom, like going to an international town and meeting strangers. Love this feature, James. (Especially the part about Eguchi's inspiration. And as many comments here show he reached his goal of a great community game.) I only wish I could love the games as much. What would be even cooler is if you could play your multiplayer VC games (on the 3DS and WiiU) with the nice visitors of your town. @James Cool, Just used it. thanks for the tip, it will help pay off my debt to Tom Nook in City Folk. My pleasure — let me know how it goes! I have all three of the games. And when I get a 3DS, when Animal Crossing 3DS comes out, I will get that, too.